In our first year of business, we have loved watching you all create such magic in your own ways. Your passion for the art of floral design is so very evident, and we are blown away by your work. We are even more blown away by your passion for each other. We can’t think of a better way to celebrate our one year anniversary than to spend it with all of you. While there is always room to improve and grow in your designs, growing your business is just as important. On December 9th, we are so excited to invite our friends in the floral design community to something truly special. 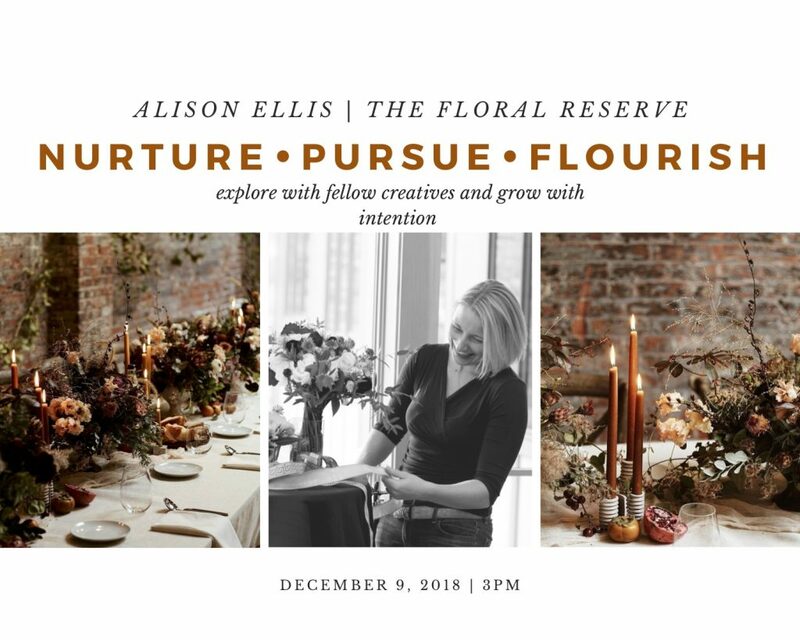 We will be hosting the lovely Alison Ellis of Real Flower Business at The Floral Reserve, a floral designer and business guru, as she shares her knowledge to educate and empower fellow “floralpreneurs” to achieve their business goals and build long-lasting brands. Alison will lead two 45 minute presentations with breaks for questions in between, from 3pm-5pm. The first will be a discussion on the basics of business planning and growing your brand. You will have access to the slides from this presentation afterwards for future reference as well. The second presentation will be on “Flower Math – The Florist’s Guide to Pricing and Profitability”. This course teaches you the tips and tricks on how to maximize profit and stop over-buying, leaving you to price your events in confidence. 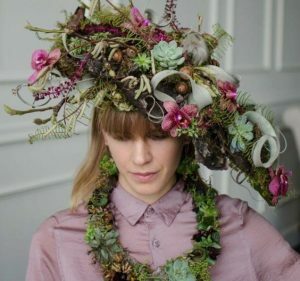 This class is a game changer in the world of floral design. 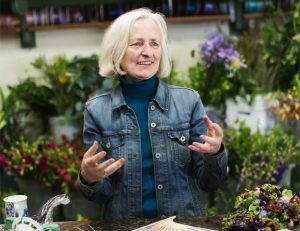 The best part is, that after Alison’s presentation, all attendees will have access to the entire Flower Math online course for 50% off! The cost of these two 45 minute presentations is $200 per person limited to 45 attendees. But what would an end of season gathering amongst friends be without dinner? After the talk portion of our day, we invite you back to the Flowers By Semia studio for a meal catered by the always talented Gracie’s restaurant. You will be treated to a lavish tablescape and candlelit room for dinner, as a thank you from the FBS and TFR team for all of your support in our first year of business at the Floral Reserve. (Alison will also be joining us for dinner, and be available for any further questions you may have). Space for dinner is limited to 25 seats, so spots will be filled on a first come, first serve basis. For attendance to both presentations and dinner, cost is $375 per person. Join us for this incredible evening – learn, network, and just relax after a long event season! AND The Floral Reserve market space! 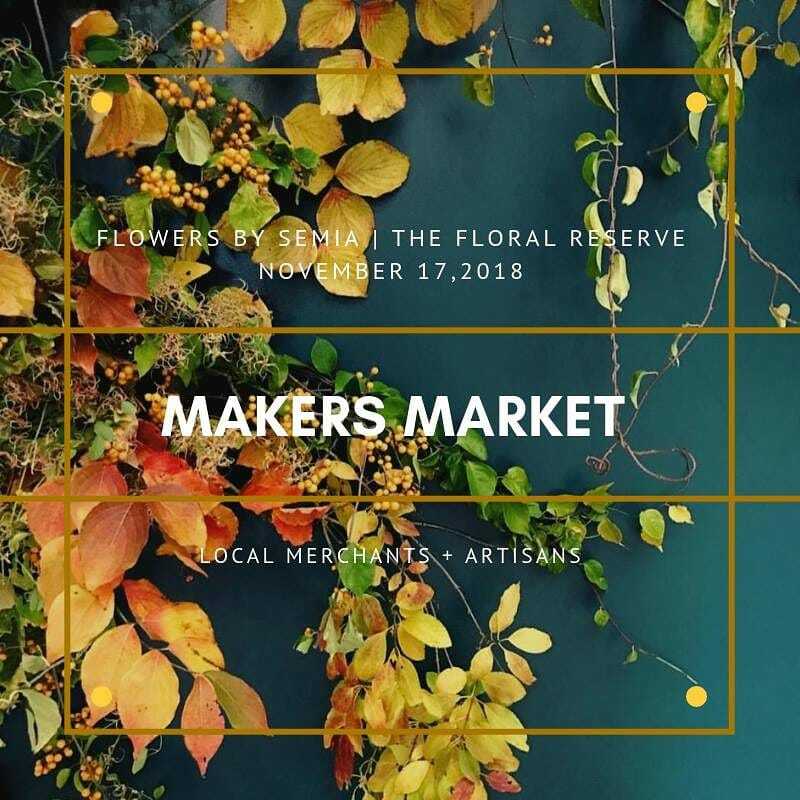 NAVA | LIZ KELLEY | BAYBERRY BEER HALL | FIORI | LUMEN NATURAE | MYRTH CERAMICS | CHRISTINE CHITNIS | CORKIE BOLTON JEWELRY | DAB DEODORANT | DWRI LETTERPRESS | SOCKS & BIRKS | KIRSTEN CAPRON PHOTOGRAPHY | YOUNG FAMILY FARM | AND MORE! 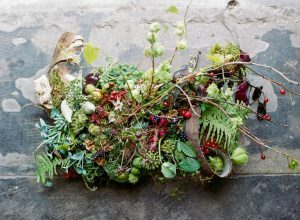 You will build arrangements from forest logs, burls, branches, even root balls and will learn how to cover more conventional vessels with barks, mosses or leaves. Students will explore how to create simple structures as the base of designs. 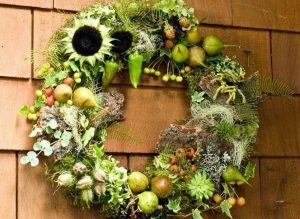 In the afternoon we’ll go over the mechanics involved to create stunning woodland wreaths. Françoise is known for her avant-garde headpieces. She will guide you through the construction of flexible armatures as you build intricate and cascading designs. Learn to how to create jewelry designs using aluminum wire as a base for rings, necklaces, bracelets and earrings. 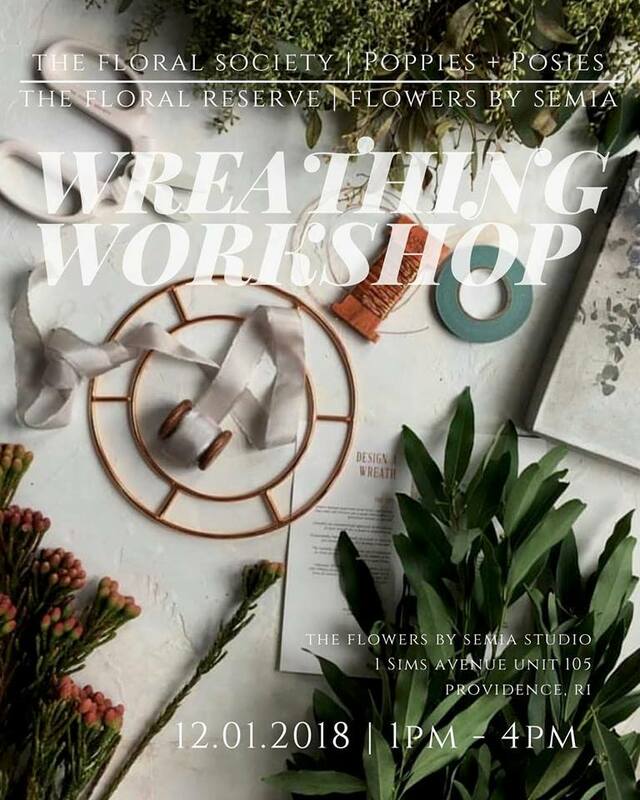 Piece together the often overlooked bits of texture occurring in seedpods, tendrils, succulents, herbs and tropical greenhouse favorites to add color and movement to the designs that will make a statement at galas, weddings and on the catwalk. A professional photographer will capture your designs! All fresh, seasonal floral and product provided by The Floral Reserve.